Ellie Firestone's "Super Sporty 3," book 3 in the Super Sporty series, is a fun children's book with an imaginative plot and lovable characters. The story follows the adventures of two horses named Sporty and Harley. In addition to being part of a horse basketball team, they are superheroes who must battle evil robots. There is no shortage of action or adventure in this book! The illustrations in this book are colorful and cute and are sure to delight younger readers. The text is arranged in short chapters. This book is beyond the level of a picture book, and probably would be best enjoyed by a reader 7 or above, or a younger child with an adult reader. 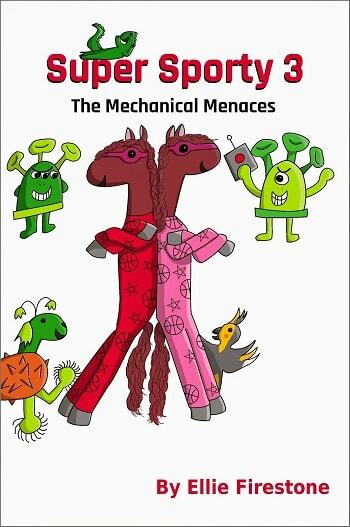 Overall, this is a great read for young readers who like action, adventure, and horses!